It had to be this one, or the close second “Meant To Live” for me…This is Switchfoot at the top of their game. Best and favorite lyrics come from the bridge, “maybe redemption has stories to tell. Maybe forgiveness is right where you fell. Where can can you run to escape from yourself? Where you gonna go? Where you gonna go? Salvation is here!” Classic. Don’t ever seeing this one supplanted at number one. They chased the sound and success of this one on Nothing Is Sound, and though “Stars” and “Lonely Nation” are both great, they’ll never measure up to this grungy anti-materialism anthem. Another in a long line of anti-materialism, everything-apart-from-Christ-is-meaningless songs, this rocker nearly usurps the throne that is the “Dare You To Move,” “Meant To Live” combo, but not quite. It’s a terrific song nonetheless. It’s my favorite Switchfoot ballad, full of earnest coming of age realization. Worshipful. Ecclesiastical and yet hopeful. “Let me know that you hear me, let me know your touch. Let me know that you love me, and let that be enough.” Superb. Foreman revised familiar territory lyrically as he proclaims that this world is not his home, while yearning for eternity. Rarely did he say it better than “Where I Belong” though. This one is a concert staple, and the right way to end a live show. It’s frantic in all the right ways as he states, “you possess your possessions or they possess you. If the house burns down tonight, I’ve got everything I need when I got you by my side.” It works as a rocking romantic sentiment, as well as a reminder of what should be important in our lives. People over things. This is a favorite to belt out loud in my car, as well as sing along with the wife. Very hymn-like when sung in concert. I’ve been listening to this one for a long time, though I vacillated about including it in my top ten. It’s worthy though…still smile every time I hear the three chimes near the beginning of the song. Also, a great book by Charlie Peacock was what inspired the song, so a bonus reading recommendation too! A prime example of experimental Switchfoot I love the timing in this one, how it changes and seems unreliable…just like the tech that we “need” can begin to steal our time/life. A rant against technology? A rank against technology that ultimately blames us, not the machine? Yeah, there’s layers worth digging into, but it’s also just a fun song. This one is so fun! 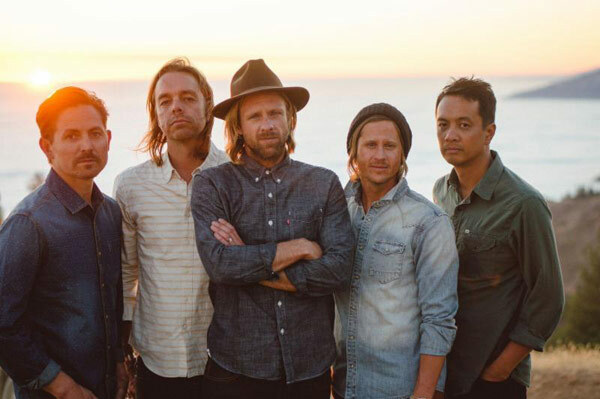 It’s the playful and fun side of Switchfoot that shows up less and less after this one, but previously on their debut, and two albums after it. Love the jumpy nature of the song, and the gang vocal harmony approach. They did a more stripped down version in concert that emphasized drawing out the vocals more that still stands out in my mind 15 years later. Sung beautifully by Mandy Moore for the A Walk to Remember soundtrack this one also helped launch them into the ear canals of mainstream audiences. Deservedly so. This was likely the first Switchfoot song I ever heard unless it was “Underwater.” Memory has faded on that one, I do know I heard them first on one of those 1.99 or free music samplers that were popular for awhile. Simply Fabulous album with hippie color looking cover? Chunky, sloppy, garage band guitar riffs won me over from the start, and I’ve been a fan ever since. This one would fit nicely thematically on their soon to be released Native Tongues album. Lyrics like, “Your love is a symphony, All around me, Running through me…” Lead the way for this solid ballad. Some decry this album as one of their worst…and I know why, but I disagree. The title track has always been a favorite strictly due to the out of tune piano mash and it’s frenetic pacing. Some hate it, I for one, love it. “Hello good morning how you do? What makes your rising sun so new?” Love this tune! Definitely my favorite from that album as I wouldn’t come to appreciate “Dare You To Move” until later. I can’t remember when I first heard this song, it had to have been shortly after Oh! Gravity era songs…regardless it’s a fantastic Beach Boys inspired surf rock song that I’d loved to have a physical copy. It’s my Switchfoot unicorn song. Hopefully I’ll snag it from a used shop to complete my Switchfoot collection one day. Switchfoot grungy with a wall of guitars and a killer hook, it wasn’t the first song I loved from Nothing Is Sound, (that would be “Lonely Nation”) but it’s the one that’s had the best staging power. First written during their previous album Hello Hurricane, “Vice Verses” plays with the idea of polarity. I love the contrast in the lyrics, and it’s the kind of acoustic guitar based tune that I’ve always loved from Switchfoot. I could have also gone with the bass heavy “Ba55” here too, but the joy oozing from “Love Along Is Worth The Fight” sticks out as the one with the longest staying power from my least favorite Switchfoot album overall. How about you? What are your favorite Switchfoot songs? I’d love to hear from you! What a crazy year 2018 turned out to be! I spent most of the year stressed and wrestling with life as I re-evaluated what I considered important and navigated my first full year as a father. As such, the music that stood out to me as the best of the year tends to lean into the messy areas of life and faith. How do we keep relationships with others and God vibrant? How do I navigate doubt? What should I do with my life? These albums and songs stood out for the way they came alongside me in my journey and even administered comfort and wisdom. What a beautifully heartbreaking album! It sounds like what The Choir has been putting out in recent years and yet different. There’s a rawness running through it that hooks the listener and won’t let go as it navigates the ups and downs of a marriage falling to pieces. For me it serves as a cautionary tale of what to avoid in my own marriage and areas of weakness to be aware of. Its angst also mirrored my own with life outside of marriage and that aspect connected deeply with me. It may not be a “fun” album to sit down and chill for an afternoon, but if you’re feeling moody it’s a perfect companion. Ever since his masterpiece album Land of the Living, I’ve been in love with Jones’ knack for beautiful song craft and storytelling. The Waking Hours effectively serves as an answer to his previous Cold Answer EP. Wherein that EP saw a relationship on the rocks, his latest album shows a concerted effort at reconciliation. The songs work well together and the music leaves you with a haunted feeling. It’s not his new masterpiece, but it’s a great work in its own right. This short collection has given me much to think about. Is it about a divorce? Or is it simply about the messiness of life? No matter how you spin it, no one interpretation sticks to it perfectly. The songs feel ethereal in sound and weighty in message and the listener feels like he/she is peeking in on McCracken’s personal diary. Also probably not to be considered for its “fun” factor, but it is artistic and thoughtful and worthy of more attention than what it’s received. Yes, this album is controversial with its title (and title track), but it is also a rollicking good throw-back rock record. Once Stryper hits the gas, they don’t let up making for an exhilarating experience. The songs have timely messages and overall the band feels like they’re playing with more purpose than they’ve had in a while. I checked this one out after reading JFH’s Alex Caldwell’s glowing review. The album did not disappoint! Jason Upton’s soothing vocals and melodies, mixed with their encouraging messages, brought much peace to a troubled mind through various stressful circumstances. Throughout the year different parts of the album stood out and showed their relevance. It’s meditative and worshipful in a way that many praise bands these days only dream about producing. This album was perhaps the biggest surprise for me this year. The layered music and lyrics struck me at a time when I could relate to its complexity. The story it tells of moving through a “dark night of the soul” is compelling, nuanced, and hopeful with fleshed out imagery and metaphors running the length of the album. It may not be the greatest at what it’s striving for, but the ambition is noteworthy. Another album I checked out thanks to buzz it received on JFH and also did not disappoint. The way Watts crafts interesting music to backdrop honest lyrics is mesmerizing. Each song has its own flavor and keeps things fresh from start to finish. Watts’ years of experience in the music industry shines through the tracks and his heartfelt lyricism gives the listener an emotional touchstone. I find that I enjoy Andrew Peterson’s music more when he explores the darker side of life and so I think that’s why Resurrection Letters: Prologue stood out to me over Vol. 1. The full album is good in its own right, but the EP is a thing of beauty. Its quiet reflections on Jesus’ death and what that means for Christians gives a fresh spin on meditating on Good Friday. But even beyond the Easter season, this EP is good to listen to all year round. Thiessen’s first solo effort in some ways feels like a natural extension of Relient K’s last album, Air for Free, and, considering I enjoyed that record, it’s no surprise that this one made it on my list. Thiessen seems to be wrestling with what it means to grow up and be an adult while still pursuing creative avenues. I can relate to that. The music also keeps things loose without letting anyone get too despondent. It’s a strong debut and makes me wish for more from this corner of Theissen’s mind. I struggled with which album should take the tenth spot. Though I was largely disappointed with the Gray Havens’ latest album, I can’t deny that it was thoroughly and artfully crafted. They may be heading in a musical/lyrical direction that I don’t care for as much, but they still do it well. Repeat listens generally raise the record in my mind some. Perhaps a few more listens and I’ll be won over to their new path. This song encapsulates much of this year for me. It’s been a lot of thinking about life and having old values and feelings “come back to me”. It’s also a beautifully poetic tune, perfect for self-reflection. In talking about where we were at in life, my wife and I concluded we were merely surviving. We realized that wasn’t healthy and started striving to rectify that. This anthem wrestles with similar thoughts and also became something of a theme song for 2018. Undoubtedly the best song of She Waits, in my opinion. It tells a story on a haunting backdrop full of rich truth. It’s what the Gray Havens do best. It’s good to be reminded of the gospel and this song does it in a fresh, energetic way. Sometimes you just need truth spoken to you in a firm manner and Zealand does just that with this tune. Another song that reflected some of my feelings about this year. There are things in life—whether good or bad—that you must move on from in order to move forward. This song encapsulates that sentiment perfectly. A song stands out in my mind when it takes something I’ve heard a million times and presents it in a unique way I never considered before. “God Rested” combines the Old Testament teaching on the Sabbath with Jesus’ burial in a way that surprised me. The concept is backed by brilliant lyrics and contemplative music. Most worship songs I hear tend to flit in and out of my brain without leaving anything tangible to chew on. This lesser-known tune was different. It combines theology with emotion in a manner where neither is trampled. This song should be bigger than it is for it could easily play in any church context. I initially thought this was a metaphorical song to God. I may be able to see it that way, but it’s actually about friendship. As this year closes out, I’m realizing in a new way the value of kind friends and how refreshing such people are. “I don’t know what steps to take/And I don’t know what moves to make.” So begins the song. Such thoughts often run parallel in my mind. But as Upton sings in the bridge, “What a journey walking with You, God!” Life with God is an up and down adventure, and I’m slowly learning the lesson. I’m a father now and I’m a sucker for songs like this one. The way Rhett Walker blends together his love for his child and God’s love for His children is sweet and the melody is memorable. A Switchfoot Christmas song! I hear shades of rawness, a la their debut, and pieces of what was coming in their follow up New Way To Be Human. Terrific song. A worship song if there ever was one, this is Switchfoot in a way rarely seen since, as their mission expanded to include more mainstream listeners. A perfect companion to songs like “Let That Be Enough” and “Only Hope” from the same period. A steady acoustic guitar strum and Foreman Pastorally encouraging listeners to not live in the past, but press forward into the future. Nothing super special here, though still a solid tune. Definitely a Oh! Gravity-ish song, this one is Jon calling himself out on the truth from Proverbs that, “the power of life and death is in the tongue.” They must have been on a Rolling Stones listening kick, because I hear their influence all over this upbeat one. Musically this seems like it would have fit perfectly on the Oh! Gravity album. I like the gentle beginning and the swirling strings paired with Jon’s yelping “yeahs” to end the song. This one should have made an album somewhere along the way in my opinion. A mid-tempo song with ominous tones about overthrowing your own wicked heart before pointing fingers asking for an overthrow of the government. Perhaps more apropos now than ever we need this reminder in our polarized nation. Perhaps the most “known” of the lesser known Switchfoot catalogue, I picked this one as it’s pretty deeply buried on the companion EP to the Fading West album. The song itself starts slowly with an electronic beat, and slowly builds as he sings “slow down my heartbeat,” with beeps and blips aiding an otherworldly sound until it collapses into musical chaos, only to slowly conclude. Much of the song reminds me of what Radiohead has done well for many years. A Christmas based loved song to a significant other, and a city? Seemingly, Foreman is broke but in love with both regardless. Favorite line, “this town is a thirty-five Ford in a bad mood.” Another song from the Nothing Is Sound timeframe. Easily my favorite from the Eastern Hymns...EP, and perhaps my favorite Switchfoot rarity/B-side ever. Its Beach Boys harmonies and surf rock guitar vibes make it a perfect summer song for the car. Anchored by a chiming guitar time similar to hit song “Dare You To Move,” this one is somewhat dark sounding. The ending is my favorite part, though I don’t revisit this song much. A Co-penned Jon Foreman and Matt Thiessen tune featuring both on vocals, and Ruth leader singer on harmonica? Yup, and it’s catchy goodness written to garner more support for organization Habitat For Humanity. A song using Greek mythology (Icarus, Daedalus, Ariadne) to try and make sense of seemingly senseless death from Daedalus’ perspective; this might be my second favorite Switchfoot rarity. The bass guitar sets the meandering groove, as the heavy drums join a lightly strummed guitar, all delivering a satisfying juxtaposition. Short on lyrics but that doesn’t mean there aren’t depths to explore. What are the stitches that he’s trying to escape from? I have my thoughts, but I’ll leave you to make your own conclusions. Though released later (2009/2010) the guitar and music remind me of late Nothing Is Sound or Oh! Gravity 2005-2008, and it’s likely when beginning stages of the song we’re birthed, though I could be wrong. So there it is! Which did you already know, and what did you just discover? What did I miss?